Adham sends us this piece about the newly released 'track', A-Z of the underground. Listen to the track and look out for Adham at some of the 'station stops' along the 'way' in the music video. The iconic London Underground has been referenced countless times in popular culture. Musicians have had their takes on it, of course; Baker Street, Mornington Crescent and Warwick Avenue being some. However, there hasn't been a song to name every single station. Until now. Ben Langham is a London Underground engineer by day and a station music master by night. Collecting recordings behind the scenes of the Tube - in the hidden tunnels, disused stations and forgotten passageways beneath London - he transforms them into songs for his Tunnel Sounds project. This unique concept has caught the attention of BBC Breakfast and CBS News. 2013 marks the 150th anniversary of the world's most famous urban rail network, and Ben felt this called for something very special. A-Z Of The Underground is a stunning one-off piece interchanging hip-hop and electronica featuring Kate Mullins (Puppini Sisters), Jaggi and AFS. Real sounds recorded on the Tube are edited and layered together with guitars, bass and punctual production based around the Central Line of rhythmic vocals acknowledging all 270 stations with lyrical flair. Next time you take the Tube, listen to this audio tour of the system and you might end up with plenty of extra spring in your Stepney. Don't forget the exploits of 'The Cheesists on the Central Line', also celebrating 150 years of the the underground, cheese and beer with irregular entries on theBlog. MetroEP is a compilation from various artists celebrating world metro systems. Release in 2012. The public transport rapid transit concept album is part of the 1000 Stations project. Individual artists on the album include AFS, Annanem, HB, Movimento Flaneur, James Robinson, I-Wizzle, Vasilakis, Ben Phaze, ACD, Seefor, gem.s, Matt Westcott and Outside The Loop. 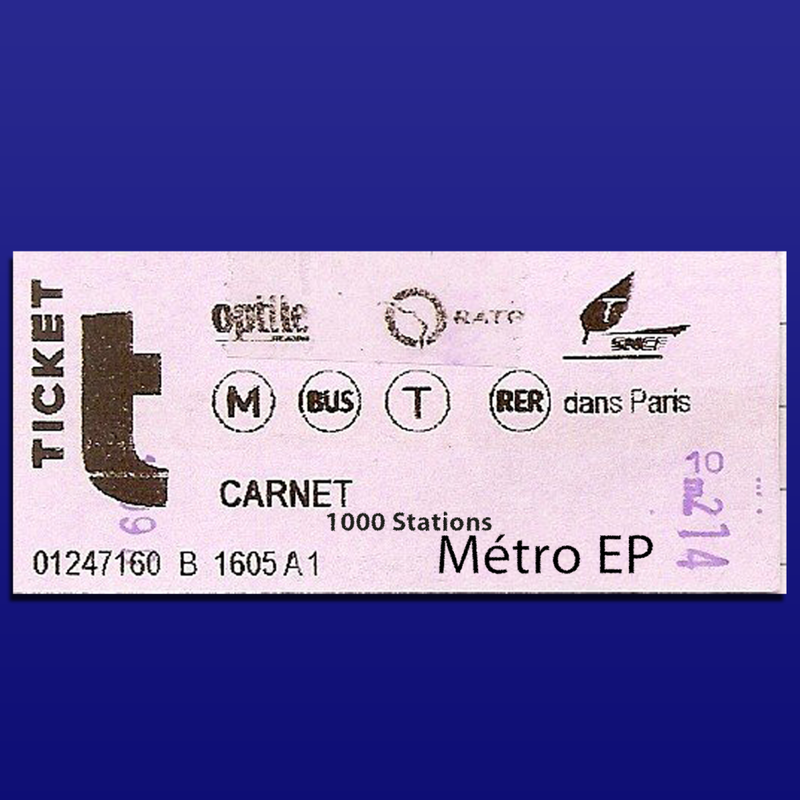 The CD contains amongst others, The AFS song Metro about the Paris Metro,featuring Annanem. Available on extremely limited CD at the moment from 1000stations@gmail.com and twitter.com/1000stations it will be released for download in due course.